Day 19.9 at Concert Room, Oranssi building, from 13:00 to 17:00. Maximum 10 participants admitted, registration needed. Free of charge. Julistus (Manifesto) is a workshop where participants plan, print and distribute posters in the city. The workshop is partly inspired by political history, for instance the political posters that were quickly and cheaply produced at the time of the student revolt in France. For Pixelache Festival Julistus workshop will explore the festival theme of local and decentralised governance and will be using several manifestos by the festival Assembly that Pixelache is hosting. 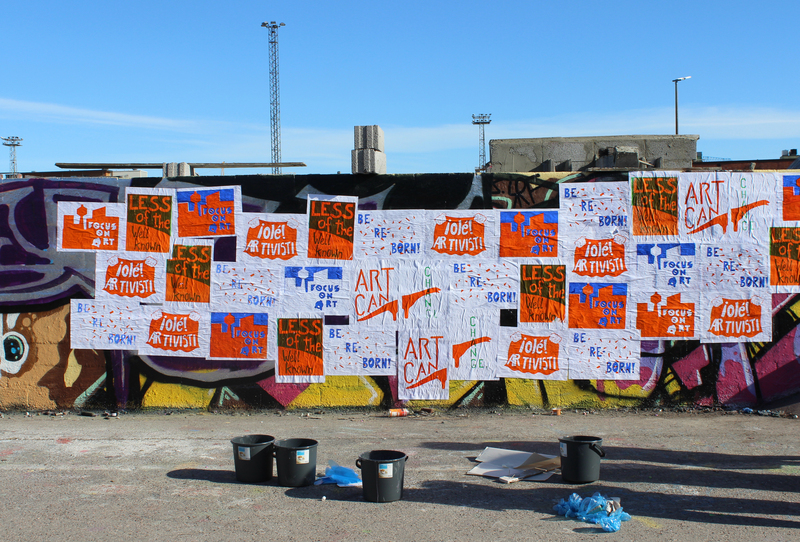 The chosen sentences or fragments will be visualised as posters and placed together in and around the festival site in Suvilahti resulting in a big, collective temporary work. The Manifesto workshop has been held before in IHME Festival in Helsinki, in Berlin and Tallinn. The concept and facilitation is a collaboration of Päivi Raivio and Robin Ellis. Robin Ellis is a British freelance illustrator and an artist. 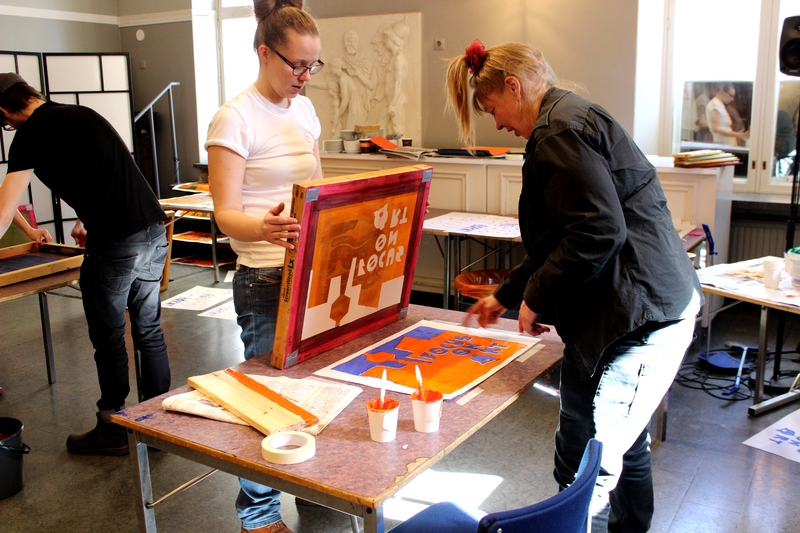 He is working with screen-printing, exploring different techniques and is interested to apply and experiment with printed work in public space. Päivi Raivio is an artist and designer based in Helsinki. Her work is mostly installations, interventions and interactive works in public space. Päivi is interested in urban in-between spaces and wastelands and reimagining them with site-specific work. Päivi works independently and as part of RaivioBumann-collective.